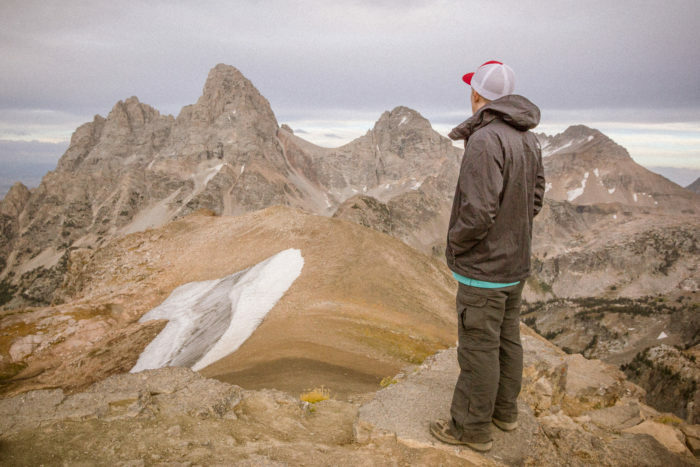 Idaho’s endless beauty and unrivaled wilderness opportunities boast scenic perfection, challenge even the most skilled outdoorsman, and allow nature lovers to immerse themselves in Gem State beauty the way it was intended. 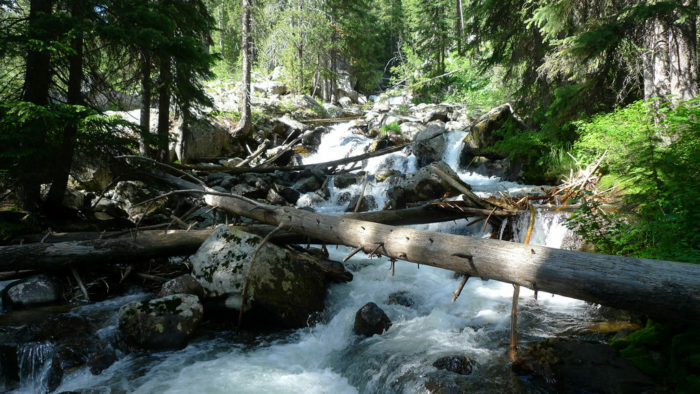 Big Elk Creek is a gorgeous stream that flows down through a pristine, overlooked canyon. The Trail from goes north along Big Elk Creek and leads straight into the heart of the Snake River Mountains. 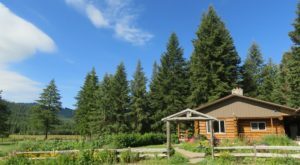 Here, multiple high alpine meadows boast exceptional flower displays during the summer months, and big wildlife - namely, black bears, elk, goats, and moose - is abundant. The rich foliage is mesmerizing in the fall, but spring and summer months offer shaded, creekside beauty. Table Mountain is a must-do in the Tetons, offering unrivaled closeup views of the face of Grand Teton, the upper reaches of Cascade Canyon, and picturesque glacial valleys on the west side of the Tetons. 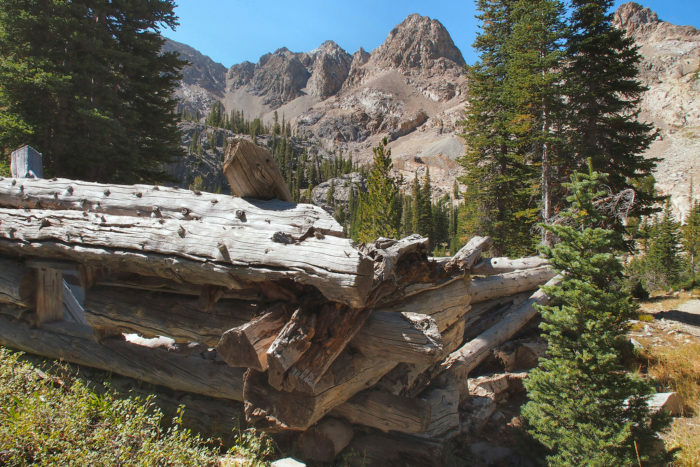 This hike is widely regarded as one of the most outstanding in the entire region and it bears the signature, photogenic essence of the quiet side of the Tetons. 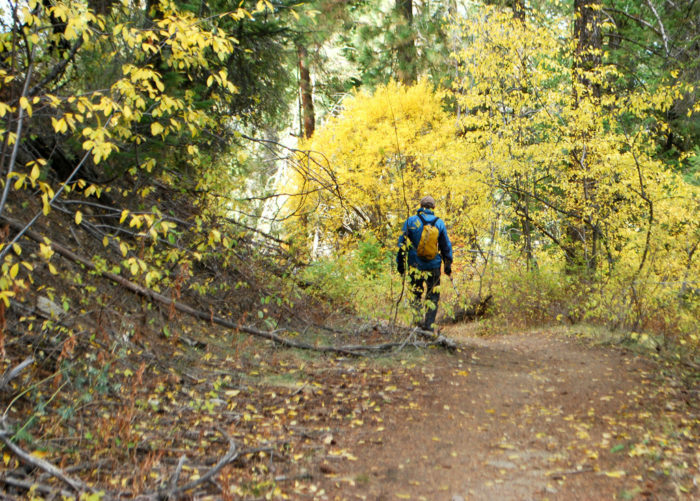 The 25-mile hike is an overnighter for most, but can be done in one day for skilled hikers. The Sawtooths are packed with amazing trails, alpine lakes, and gentle, meadowy valleys that sooth and restore even the most weary hikers. But this hike is somewhat popular for a few obvious reasons. 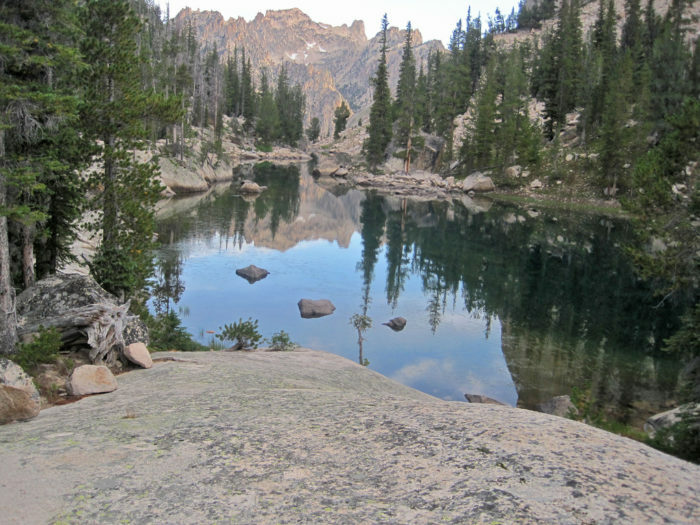 First, the glorious alpine lakes that sit nestled in their rocky Sawtooth beds. Second, the beloved Elephant's Perch, which is aptly named for its profile but offers plenty of rock climbing options as well. 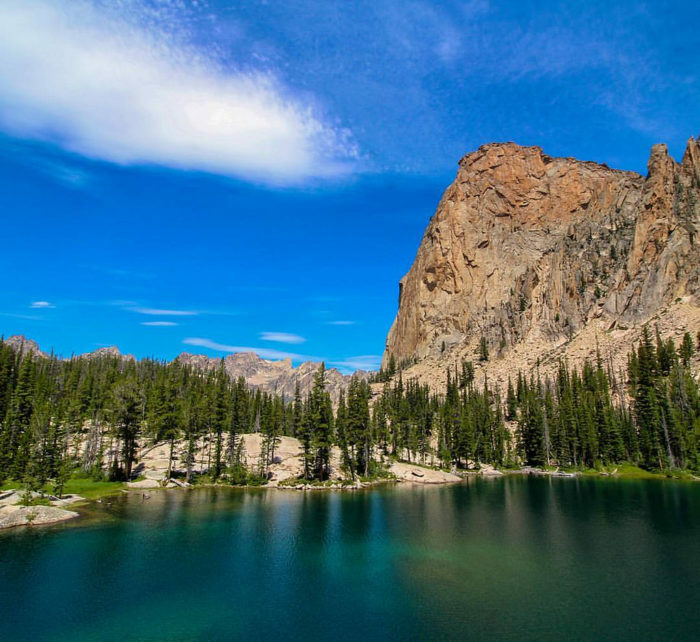 The hike to get here is approximately 5 miles, and will include a boat ride across the mesmerizing Redfish Lake. Unexpectedly lush with trees and foliage, this shaded "lollipop" loop offers phenomenal views of the valley without a lengthy drive time for capital city locals. A refreshingly cool break from the heat of the valley below in summer, the meandering trail up near Shafer Butte rolls down into a pretty forest that pops with bright wildflowers in late spring. For this part of Idaho, the underbrush is dense and resembles the greener areas of northern Idaho. The views out towards the mountains and towards Stack Rock are gorgeous, and the hike - though somewhat lengthy - is relatively easy for all experience levels. 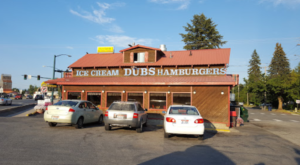 This must-do hike just mere blocks away from downtown Boise is a rite of passage for Boise locals and offers a treasured, sweeping view of Boise and neighboring foothills that is beloved by visitors and residents alike. In fact, as far as urban hiking goes, there's few other places like it in the US! 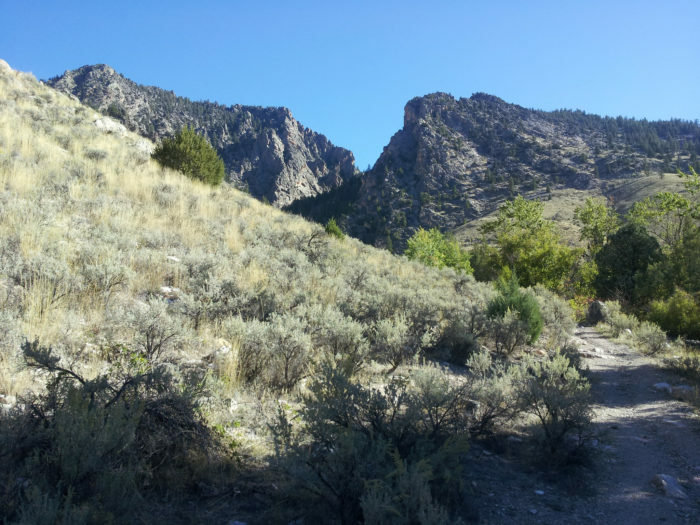 Hikers can create a diverse four-mile, 900-foot-gain loop hike or escape the crowds by taking one or more of the non-motorized trails that branch outwards into the foothills. 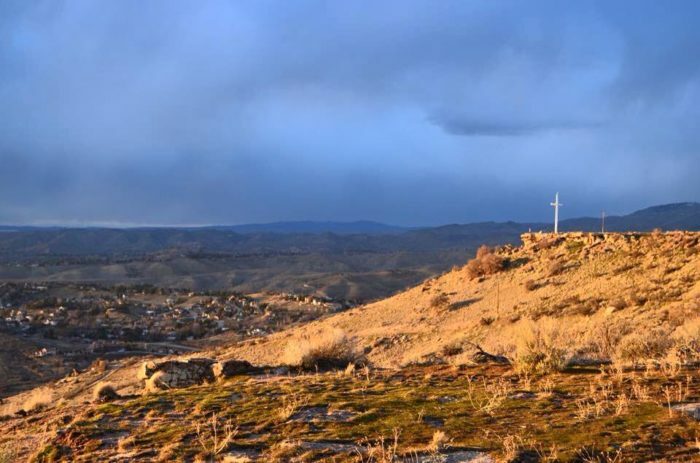 The route weaves between lichen-covered boulders, transitions through sagebrush, and ends with a pinnacle sunset-worthy perch overlooking the city. 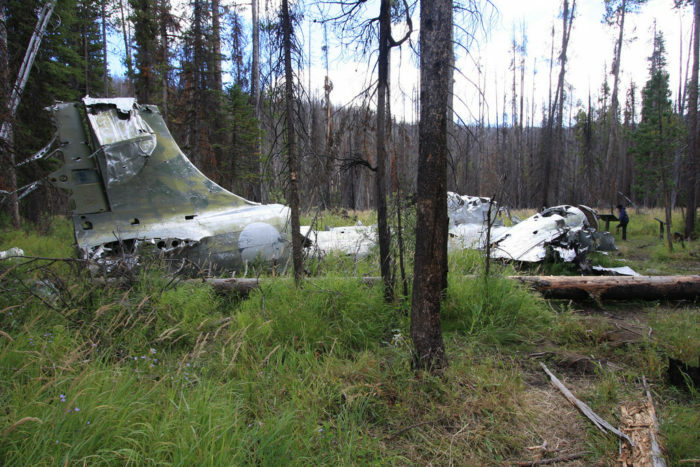 Buried deep into the trees near Loon Lake, the remnants of this war plane have been seemingly left to decay by the forces of nature. However, the true story behind this plane crash - one of survival and determination - is worth the long, but beautiful, hike to get here. 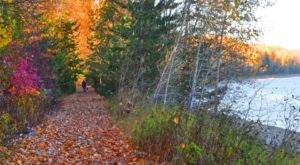 This historic site takes a gentle shaded hike through the outskirts of McCall to a small, meadowy lake. 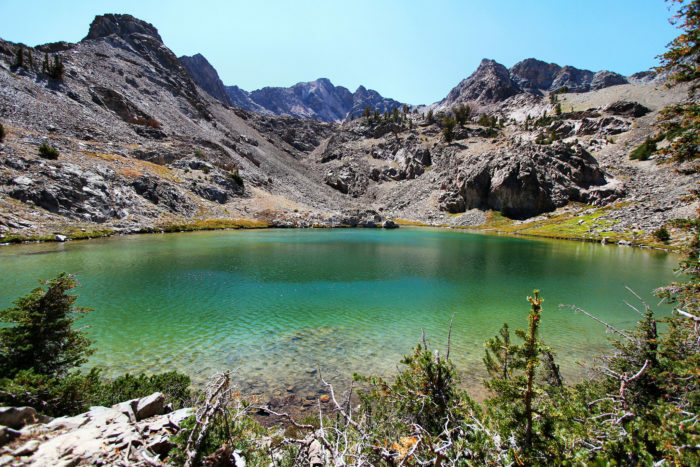 One particularly beautiful trail in Idaho combines these multiple favorite Idaho pastimes: hiking to a gorgeous secluded lake in the mountains, and exploring an abandoned ghost town that precious few Idahoans even know exists. How’s that for the perfect day trip? Hiking up North Idaho's tallest mountain is well worth the challenge in summer, after the last of the snow has melted. 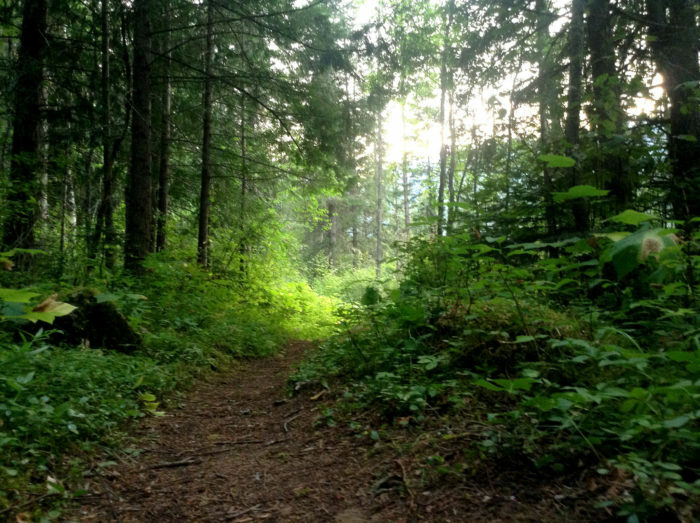 While the magnificent views of the Cabinet Mountains and the Kootenai National Forest are exhilarating, this is no beginner hike. The six-mile trail is incredibly steep, albeit abounding in natural beauty - from thick wildflower carpets to rocky, snow-dusted vistas to the rich green and blue distant scenery. 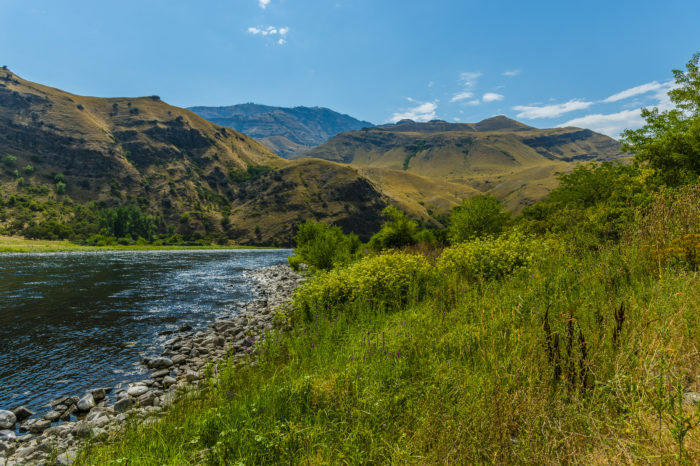 For one of the best canyon hikes in Idaho, the Snake River Trail in Hells Canyon is hard to beat. The long trail - nearly 27 miles one way - can be broken down into out-and-back hikes of varying lengths. Here, jaw-dropping views of the steep mountain canyon walls are as spectacular as the roaring river, which is always close by. Take caution, though: the route is rarely flat—it winds up and down canyon walls and over rock outcroppings, sometimes hundreds of feet above the Snake River. Spring is without a doubt the best time to visit, as wildflowers and greener pastures, so to speak, keep the brutal heat and scratchy brush at bay. 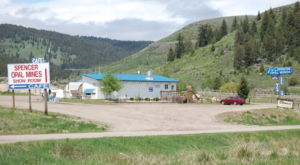 For most Idahoans, a trip to Goldbug Hot Springs is a bucket list dream come true. 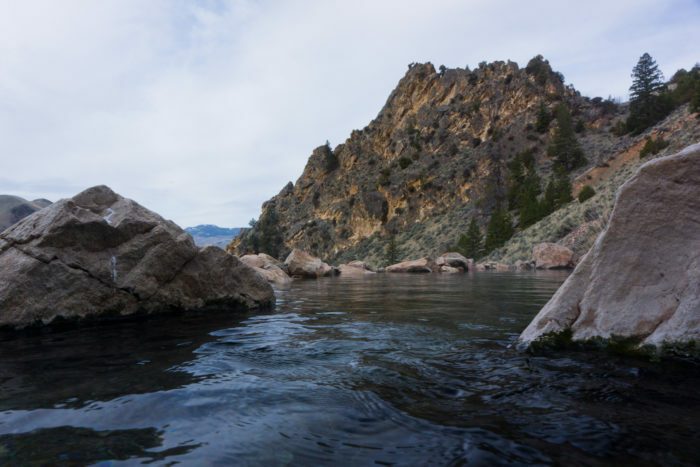 As you marinate yourself in the steamy water, the pool - which ends in a sharp dropping overlook that offers incredible views of the Salmon River Valley, you'll be engulfed in the power and beauty of Idaho's backcountry. The hike is a relatively easy one, developed with stairs for visitors. While the WRT is a nationally-recognized trail, it doesn't get the publicized attention that many of Idaho's other trails do! That means no crowds and plenty of time and room to enjoy the journey from start to finish. 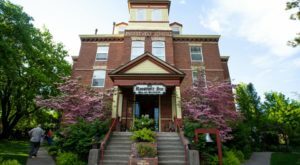 Fortunately, this rail-to-trail journey has something for everyone: it's level enough that nearly anyone can complete the 85 mile journey from Weiser to McCall and meanders beautifully alongside multiple river channels, through diverse habitats and landscapes. 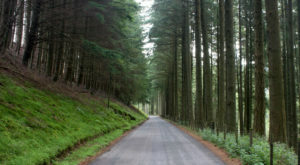 You might also find a few surprises along the way! 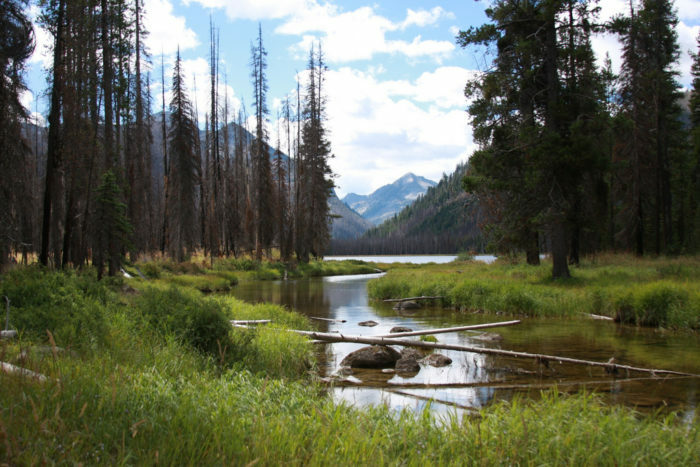 Quite possibly the most intense, but scenic, hike you will ever take in your life, this cross-Idaho trail is absolutely magnificent in its beauty and diversity. 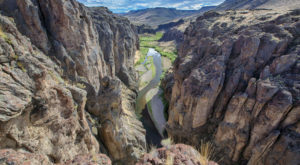 Nearly 1,000 miles of wilderness and epic natural wonders - along with waterfalls and rich foliage - carry hikers from the stunning Owyhee desert in the south to the Canadian border in the north. 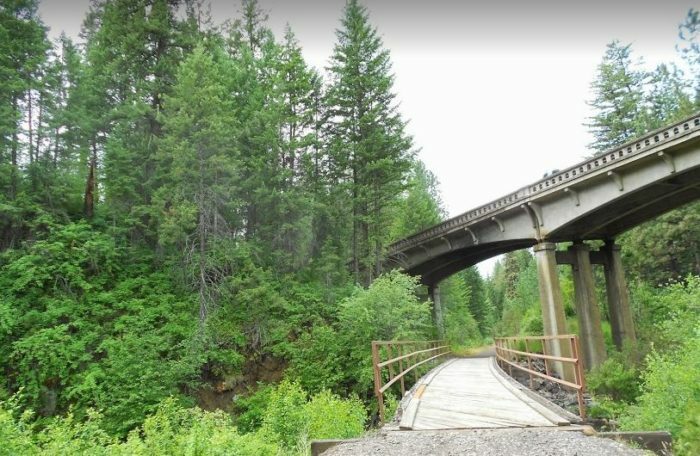 Of course, for convenience, this nationally-recognized trail is also broken into seven sections that traverse the majority of the state, each encompassing a unique landscape of Idaho. Simply take your pick! 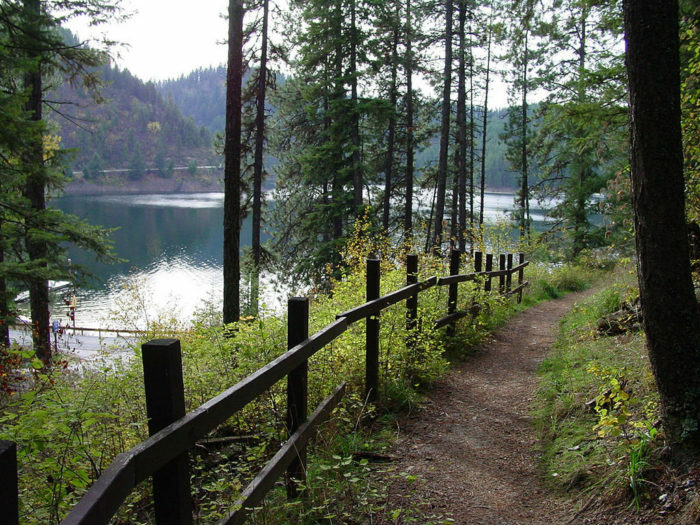 The 3.3-mile Mineral Ridge National Recreation Trail is an invigorating and moderate hike near CdA that offers picture-perfect lake views, and outstanding overlooks over Beauty and Wolf Lodge bays - plus, excellent interpretive signs and educational opportunities. While the shaded trail is idyllic spring through fall, winter offers something particularly special: majestic sightings of dozens of bald eagles as they migrate and feed on Kokanee Salmon. 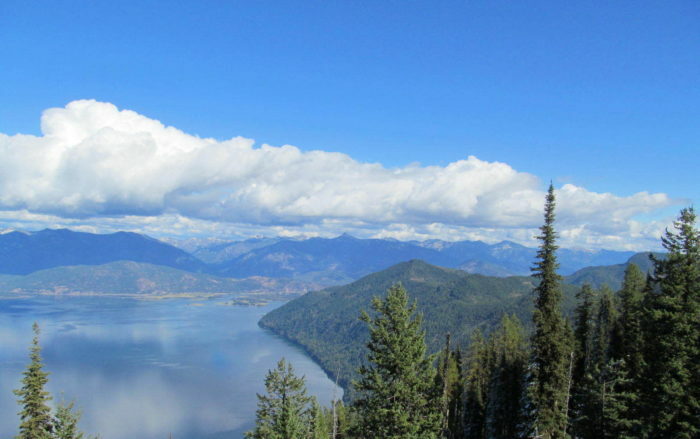 This scenic trail offers breathtaking views of Lake Pend Oreille, as well as a hiking challenge for those who brave the side paths that make up the entirety of the Green Monarchs Ridge Trail system. 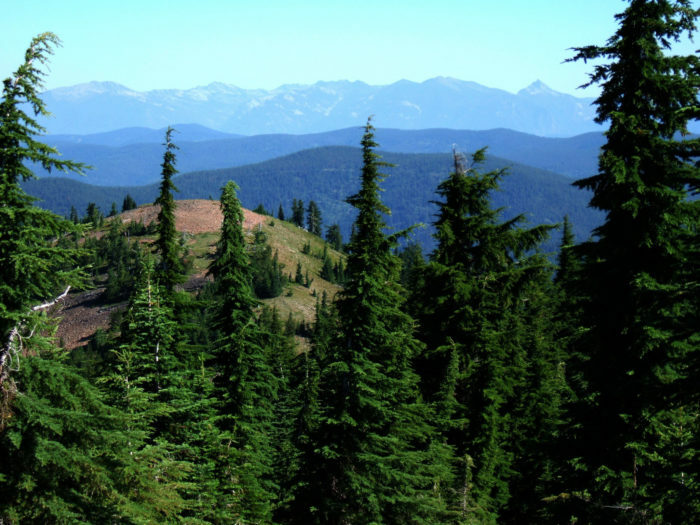 The 5,000+ foot summit - located in the Coeur d’Alene Mountains, a sub-range of the Bitterroots in the Kaniksu National Forest - is challenging particularly for hikers accustomed to Idaho's traditional switchbacks. But we guarantee the end result is worth the endurance. Your current location and stamina level will definitely determine how many of these beautiful hikes are feasible trips for you, which is why we created such a geographically diverse list. 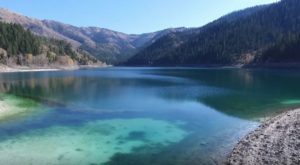 But Idaho truly is a hiking wonderland, so don’t be afraid to explore outside of these trail favorites. And, if the best hike you’ve ever taken wasn’t featured, be sure to let us know about it – or just send some pictures our way to entice us! Now, what are you waiting for? Go lace up those hiking boots! Super-rad musician, scholar, and Idaho native who has loves basking in Idaho sunsets and indulging in spontaneous nature walks across the state.